Chuck Royce details why he is bullish on the industrial sector—he believes they offer a great intersection of quality and value. Francis Gannon: We've been dealing with anemic economic growth for a period of time. As you look at your portfolios today, you would see that industrials are probably one of your larger sector weightings in many of your funds. Why are you attracted to the industrial sector so much? 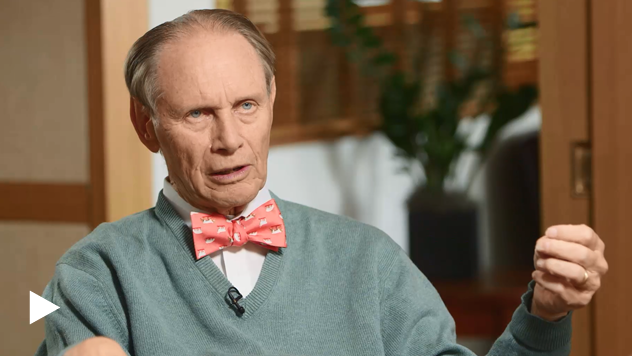 Chuck Royce: We have had industrials as an overweight for some time, there are several reasons for it. One is, it is a very broad category with lots of things that are very capital-light, really not industrials at all. They are business-to-business services, and that is a big component. Certainly that is the area that we favor but in the more pure industrials, we certainly have some of those. They've always represented a great intersection between quality and value. So we've been able to acquire these positions in very strong global companies at very reasonable prices and we think they have further to go. They constantly are being sort of subject to, well what if we have a slowdown; what if there is a recession. We don't think there will be a true recession coming up; we certainly can have types of slowdowns. Energy probably is the biggest one that's gone on. But we’ll have others. But we are very convinced this is a very good, low expectation area and we continue to like them. Francis: One of the more interesting aspects of the industrials is that they have very easy comparisons going into the end of this year and the beginning of next year from an earning perspective. Due to the fact that last year at this time many of the markets were dealing with a perceived economic slowdown again in the United States. Chuck: There was certainly that. The dollar was quite strong right through January, it's been flat and lower and slightly stronger recently but basically it has not continued to have the ascent. That was part of the issue for many of these global companies. So I think we are in a better position overall. Certainly they continue to be low expectation stocks. Francis: Innovation is something that we hear an awful lot about and I guess from my perspective, we hear that it is closely associated with growth companies, not value companies. How do you think innovation plays out in the industrial sector or is there a lot of innovation in the industrial sector today? Chuck: I think that is a really interesting subject. I don't think the marketplace fully appreciates two things. That the great industrial companies are either selling technologies solutions or they are using technology in their process and we are highly aware that this is a major contributor to their global prosperity. Frank: Can you give us an example of an innovator in the industrial sector? Chuck: Cognex is the leader of machine vision and they dominate that field. That type of activity is used in all manufacturing processes, typically on the line to check for quality control. Very great company, interesting culture, very successful, often viewed as cyclical and it is a little cyclical but we are very impressed with its long-term prospects. The thoughts and opinions expressed in the video are solely those of the persons speaking as of October 13, 2016 and may differ from those of other Royce investment professionals, or the firm as a whole. There can be no assurance with regard to future market movements. As of 9/30/16, Cognex Corporation was 1.1% of Royce Pennsylvania Mutual Fund's assets, 0.9% of Royce Value Trust's assets, 3.4% of Royce Premier Fund's assets, 0.0% of Royce Micro-Cap Trust's assets, 0.5% of Royce Total Return Fund's assets, 0.0% of Royce Global Financial Service Fund's assets, 0.0% of Royce Dividend Value Fund's assets, and 0.9% of Royce Global Value Trust's assets. There can be no assurance that any of the securities mentioned in this piece will be included in these portfolios in the future. References to specific securities in this piece are not intended as recommendations and should not be relied upon as the basis for anyone to buy, sell, or hold any security.